The really important functional professional bio. I came, I saw, I learned (except when I was too bleeping arrogant to listen). 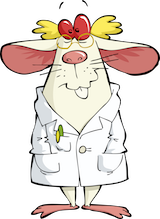 The following is a short professional bio that I have put into hundreds of scientific grant proposals and marketing materials. Kind of boring. George J. Huba, PhD, President of The Measurement Group LLC, is a 1977 graduate of the Psychology Program at Yale University and is a Fellow of Divisions 5 (Evaluation, Measurement, and Statistics) and 50 (Addictive Behaviors) of the American Psychological Association; he is also a Fellow of the Association for Psychological Science. Dr. Huba has held faculty appointments at the University of Minnesota and UCLA and has over 300 publications on methodology, program evaluation, and psychological testing, especially related to health care, social services, substance abuse, mental health, and HIV/AIDS services. Dr. Huba was the Vice President at Western Psychological Services, a major psychological test publisher, and in that role developed both paper-and-pencil and computerized tests. While Dr. Huba has published in the areas of quantitative psychology, measurement, and program evaluation for 30 years, his research has expanded in the past decade to include significant work on qualitative analysis methodologies in program evaluation and he has published a number of papers using such methods or mixed-method evaluations in conjunction with converging quantitative indicators. Dr. Huba is also expert in conducting in-depth interviews with service providers and service administrators (having interviewed several thousand such individuals working in more than 400 agencies in the past 10 years) and documenting strengths and weaknesses of different service models. 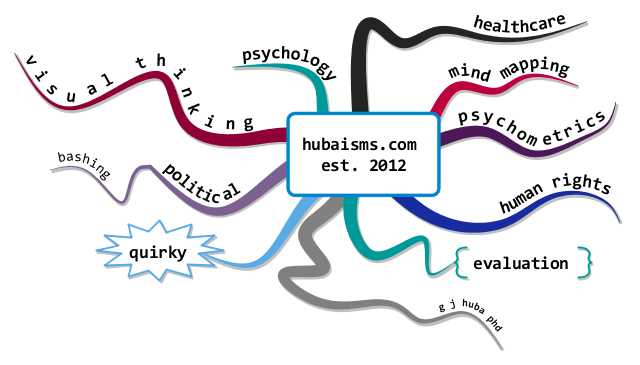 Most recently Dr. Huba has turned his attention to better ways of disseminating knowledge including organic mind mapping, data visualization, short videos, and social networks. Dr. Huba has served recently as the lead evaluator on The Measurement Group’s evaluations of projects serving older adults and on TMG cross-cutting evaluations. Or you could say the following about me. Heck the picture above was taken for a “professionally written and photographed” report for a big foundation. This is the only hour of my life I looked like that and I used the photo from 2003 until 2011 when I retired. What you see is not what you got. On the other hand, I do look a lot like that egg cartoon above. Always have, although in the old days I had hair that came down to the middle of my back and a beard that covered the shirt collar.